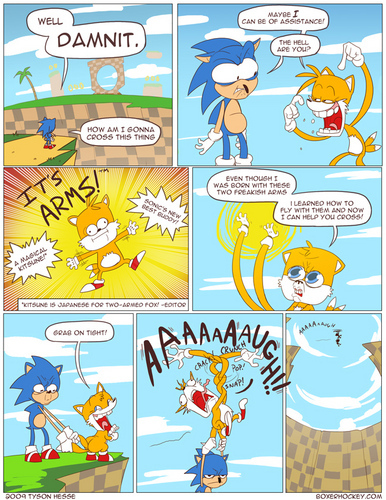 Funny sonic comics- Arms the 狐狸. . HD Wallpaper and background images in the 刺猬索尼克 club. wow...a fox with not 1 but 2 arms! WOW! what will they think of next? What will they think of next u ask emmiphantom....a hedgehog with 2 not 1 but 2 eyes lol! LOL!!! It must hurt to fly with your arms!! You Fellow Sonic Fans: THE SONIC FAN FILM IS ON YOUTUBE!!!! LOOK UP PART ONE WATCH IT AND FAN ME FOR SUGGESTING THIS! DON'T WASTE YOUR TIME!!!! !